This week we have a new batch of questions sent in by readers just like you. Keep them coming. Your participation will keep Tea Party Girl alive. 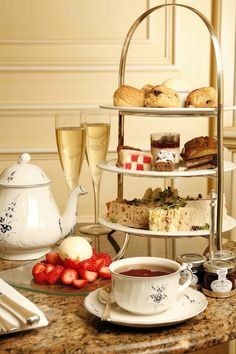 Today’s topic is how to serve Afternoon Tea. If you have had questions on the process here are a few answers that may help you start your own tea party traditions. 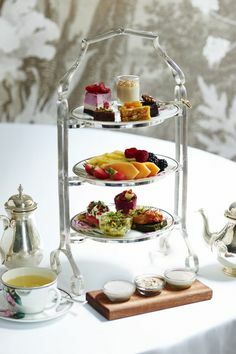 I have read so many different opinions on this subject…which is served first after the pouring of the tea at an Afternoon Tea, Scones or Savory Tea sandwiches? This is a highly debated topic. 🙂 Here’s what I do. I encourage people to start at savories, work through breads and up to desserts. If you have a three tier tray start with savories at the bottom, breads and scones in the middle and top with sweets. On occasion I have attended teas in London where scones are served on the top of the tray under a silver dome. The dome is used to keep the scones hot and fresh. In this case the savories and desserts may be located at different places. No matter what order the food is in I encourage people to start with the savories and move onto breads and desserts. This just makes sense! The key is having FUN! Is this something you do – invite your friends, have a themed party and charge them per person? Or do you see the items you have for sale? or do you just do this for your friends? Sorry for being so dumb about this but it sounds like so much fun. Hosting a tea party for friends is your first step. 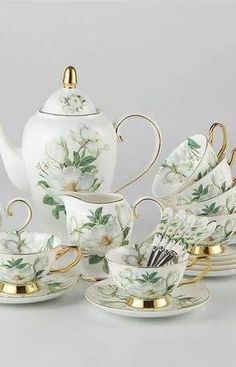 A tea party is a social occasion where you can let your creativity soar. Invite your friends to attend your gathering with no expectations other than having a great time. When you have completed your first party, plan another one, rinse and repeat. After your 5th party (or so) if you find yourself “smitten” by the “tea party bug” it may be time to consider going into business. A tea business need not be full time. In fact, it can be a great way to write off your hobby. 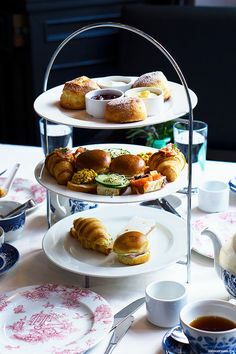 There are many ways to have your tea and make money too but the first step is hosting an afternoon tea for your near and dear. Hope this gets you inspired! Get going. You will love it.